So here we are at the end of another year and at the risk of sounding clichéd hasn't it gone fast?! I thought I would look back over the highlights of the year and also reflect on what has changed. I know that certainly towards the end of the year I haven't blogged as much due to life getting in the way and I have also spent more time vlogging. So I decided to start the year off in style with my first ever purchase from Lady Voluptuous in their Christmas sale. 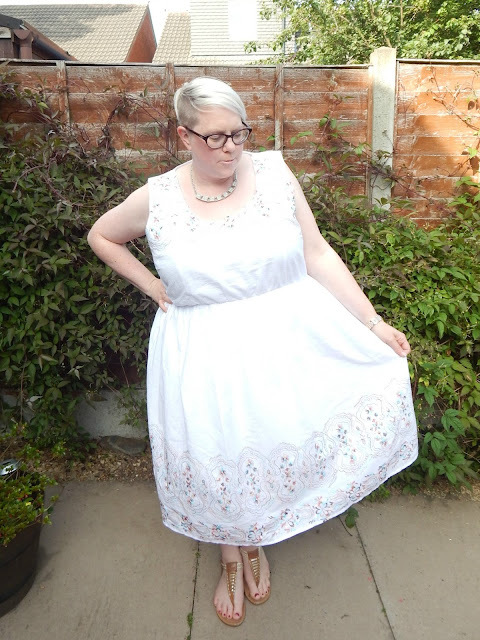 I managed to get my hands on the Cupcake Estella dress which I had admired for so long and didn't disappoint. I have worn and worn this dress both in the winter and summer months and it is still in perfect condition. This month saw me indulge my thrifty side by putting a second hand ASOS Dress and Dorothy Perkins jumper together. Both of these items had been purchased from fellow bloggers and it meant I could wear the dress and still be warm during the colder months. This was the month that saw me start to explore the more casual side of my wardrobe and try looks that were less glam but comfortable and easy to throw on. 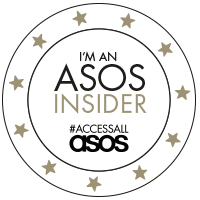 I discovered a fab t-shirt from ASOS curve which I have worn so much this year and it became the basis to a lot of outfits. I am pleased to say that I finally found my holy grail of jeans this year and surprisingly they came from Evans!! I nabbed them when they were on offer and I have loved them ever since, thank fully they still sell them so I think another pair will have to be purchased!! 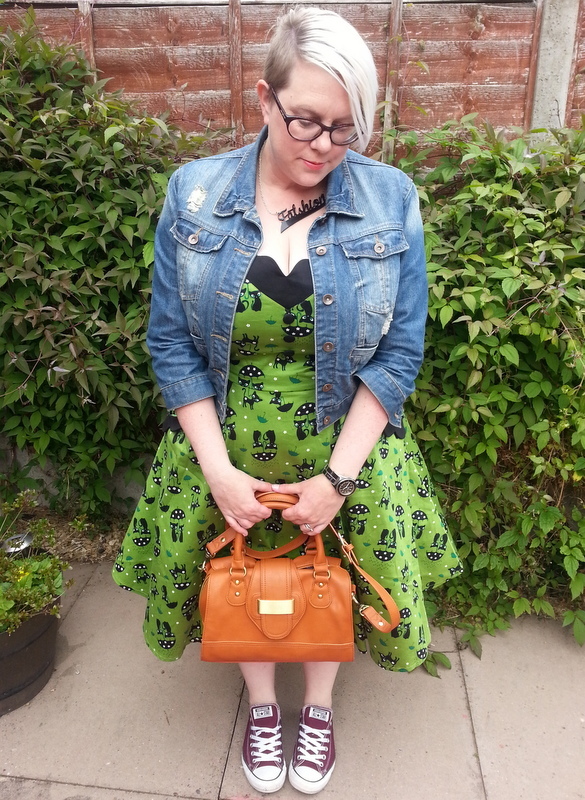 Another dress that came into my life this year was the Modcloth Oslo dress which I bought from the lovely Sarah over at Plus Size and Proud. I had wanted this dress for so long and I love wearing it and decided to try playing dress up with it to try a new look with it. I treated myself to this rather lovely skater dress from Yours Clothing this month which always gets lots of compliments when I wear it. June was also the month that saw me turn 40 and I decided that the only dress to celebrate in was my Estella!! The weather finally became warmer enough (well not for that long!!) for me to wear a Lovedrobe dress which I had bought from New Look in the January sale for about £11!! It is a lovely cotton dress and was fab when we had those few really hot days!! I have to be honest this was the dress of dreams for me this year, I missed it the first time it came out and managed to snap one up when it came back into stock on Simply Be. That's right it's the Voodoo Vixen Katnis dress and is probably one of my most liked outfits on Instagram!! I am going to be greedy and include a second outfit in this month as honourable mention needs to go to this dress which was a bargain buy from Ebay!! Lady Voluptuous had another sale and this time I had to make the flamingo print Phoebe dress mine!! I had wanted this dress since it was released so as soon as it went into the sale I grabbed one! I can't wait for the warmer months so I can dig it out again. 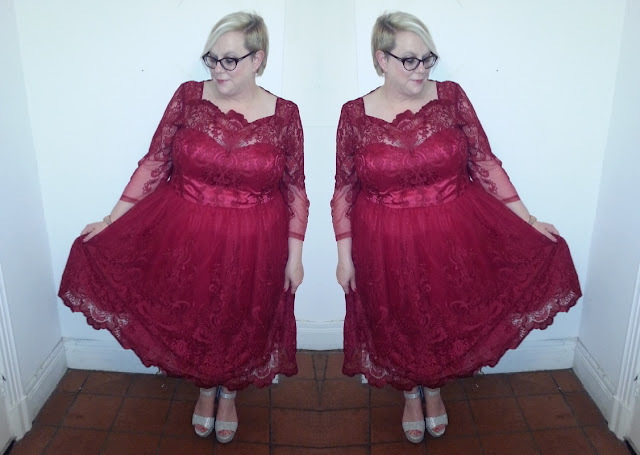 Again I had to include another dress for this month which is the Scarlett and Jo prom dress which I picked up in the sample sale at Style XL. I decided to wear it to work rather than save it for best as I feared I wouldn't wear it. This month saw me try out a dress from a brand that were new to me Lavitta and it didn't disappoint. I have worn this to work and the response was amazing. It is a lovely dress and one that will be a part of my work wardrobe again next year. The lovely Leah from Just Me Leah made us aware of a fab dress from Everything Five Pounds so I decided to give one a go and for a fiver I was impressed! I felt I was channelling my inner 17 year old who would have worn this dress with Doc Marten boots!! There was only ever one choice for this month and that is my wonderful Chi Chi London party dress. I felt like a million dollars in this dress for my Christmas party and it was worth every penny! I just wonder if I could get away with popping to ASDA in it?!!! So there you have it my 2015 fashion highlights!! I am sorry the blog has been quieter over the last few months but sadly my day job didn't leave me much time to blog and then illness just scuppered all my plans!! I do want to take this opportunity to say a huge thank you to everyone who stops by to read my ramblings it is very much appreciated. I hope this year has been kind to you all and I would like to wish you all a very Happy New Year and I hope you have a fabulous 2016!! !